Last summer, we reported that Ben Affleck had stepped away from Triple Frontier, a Netflix movie about five friends trying to take down a South American drug lord. Affleck said at the time that he needed to “take some time to focus on his wellness and his family,” causing the film’s cast—which was set to include Casey Affleck and Mahershala Ali, shortly after both had won Oscars—to fall apart. 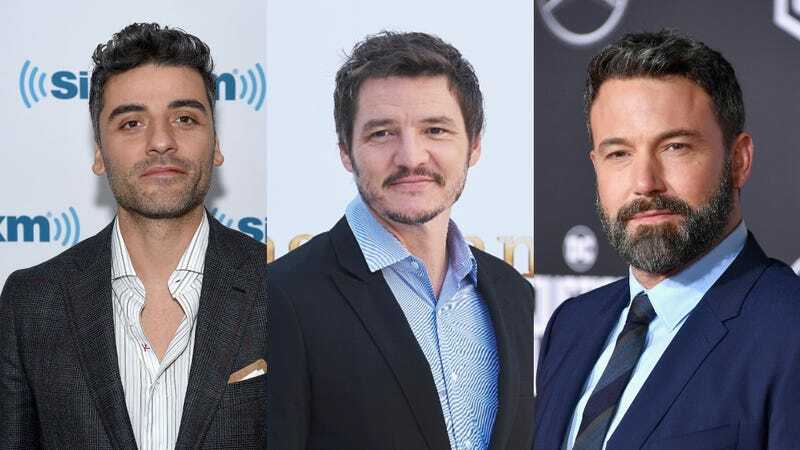 The project wasn’t totally dead, though, and now Affleck is back on board with Oscar Isaac, Charlie Hunnam, Pedro Pascal, Garett Hedlund, and Adria Arjona stepping in to replace the departed cast. This comes from Deadline, which says original director J.C. Chandor is still on board, and though Triple Frontier will reportedly be getting a new title at some point, it will finally begin production next week.